Pinot noir that seduces with satin-and-lace elegance. Riesling worthy of her exalted status as Queen of the White Wines. Chardonnay that walks a tightrope with both energy and grace. These are the kinds of wines coming out of arguably the most exciting wine region in the United States today—Oregon’s Willamette Valley. Over the years, several Minnesotans heeded the call west in search of the finest grapes to make wine, and staked their claim in the sparse hillside soils of . . . .
Read the full article here at The Growler. 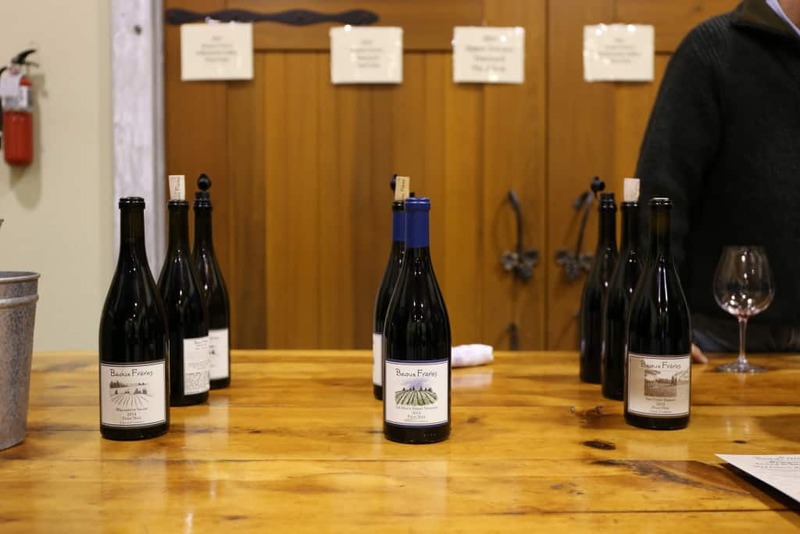 This entry was posted in Articles, Oregon, Pinot Noir, Willamette Valley, Wineries on January 22, 2019 by Matt Wieland. Willamette Valley Pin . . . No. Stop there. Riesling. Willamette Valley Riesling. For winemakers and the wine obsessed, this combination brings little surprise. For most, Riesling sounds like an afterthought in the land of world-class Pinot Noir. Enter Weinbau Paetra. Buy, pop, swirl, and see. Bill Hooper worked his way into a few fine wine shops before starting with The Wine Company, a well-regarded, independent distributor of fine wines. After marrying a German gal, he eventually flew the coop and spent time in Pfalz, Germany studying viticulture and winemaking at the Wine and Agricultural school in Neustadt an der Weinstraße. He is one of only two American graduates in the 115 year history of the school. After returning stateside, Oregon became the clear mecca for a rabble-rousing Riesling producer. He founded Weinbau Paetra, a micro-production label crafting uncompromising Riesling (and more). Expect to find Bill’s wines in fine wine shops across the Twin Cities metro and Portland, and you can’t find finer American-made Riesling. The “K” Riesling, his entry wine and an homage to the Kabinett Rieslings of Germany, will give you a taste of what to expect. After tasting, you’ll explore further. I’ve known these wines as cult-worthy, and after tasting more broadly understand that the money can follow the mouth. I had the fortune of attending the 2017 Willamette Barrel Auction, a lavish, riotous event featuring some of the top producers in the valley. At the after party, magnums galore graced the bar. 1999 St. Innocent Seven Springs Vineyard and Shea Vineyard Pinot Noir, 2012 Alexana Revana Vineyard Pinot Noir, Adelsheim 1993 Elizabeth’s Reserve Pinot Noir. It was a hell of a night. The showstopper? A bottle of 2001 Chehalem Riesling (Ridgecrest, I believe, and possibly 2000). Age had treated the wine oh so kindly. Petrol, steely minerality, and a dash of fruit weaved itself into a mesmerizing work of art. Riesling has captured the attention of somms and wine explorers. If you have an interest in figuring out why, while adding some affordable, cellar-worthy bottles to your stash, give a go with Paetra’s Riesling lineup. This entry was posted in Articles, Oregon, Riesling, Wineries on January 22, 2018 by Matt Wieland. This entry was posted in Washington, Wine Reviews, Wineries on May 31, 2017 by Matt Wieland. I recently had the fortune to sit down with Aurélien Fiatdet of Terroirs Originels and Tom Monroe of Division Winemaking Company for an exploration of cru Beaujolais. Held at the SE Wine Collective, Aurélien led an intimate group through a 15 minute overview of the region before pouring seven distinct Crus ranging from the 2016 vintage to 1995. For decades Beaujolais was cast aside as a land of cheap, monodimensional Beaujolais Nouveau. This “one trick pony” had much more to offer, however. Inspiring grower producers existed through the years, but wallowed in the shadows. No hyperbole. Top level Crus sold for $9-$12 in the American market, leaving no margin for these small production winemakers. Thanks to the persistent efforts of a handful of independent producers (Gang of 4), the rise of prices in Burgundy/Bordeaux/Rhone, and the megaphone of somms, cru Beaujolais has gained traction. Rightfully so! These wines hail from high elevation vineyards ranging between 800-1700 feet with ideal granite and volcanic soils. The wines tasted at this event come from a group of producers that farm their estate vineyards with serious care, and the wines receive small lot treatment—hand harvesting from bush vines, semi-carbonic maceration with a large portion of whole clusters, and aging in large neutral oak foudre or concrete vats. The resulting wines sing the praises of the varietal, Gamay, and the unparalleled terroir for this grape. Tom Monroe, co-leader of the tasting, champions Gamay himself, making more Gamay bottlings each vintage than any other Oregon producer. Other revered winegrowers, including Brick House, Chehalem, Bow & Arrow, have also dabbled, some for decades. With the cool-climate of the Willamette Valley well-respected for the other Burgundian varietals, it makes sense that the region would test the vinous waters of Gamay. And they have found success. Festivals like I Love Gamay and national press evidence the varietals growing reputation in Oregon. However, Tom and most other Oregon producers still genuflect east in the morning as they tend their Gamay vines, or punch down the cap of fermenting Gamay must. Beaujolais reigns supreme. The wines swirled and tasted last week provide the evidence. 2016 Pascal Aufranc Vignes de 1939 Chénas ($17): Bold aromatics of ripe raspberry, white pepper, and granite fold lusciously into the mesmerizing palate, which provides pleasing yin-yang tension and structure, all boding well for the present and at least a decade in the cellar. 25 acre vineyard. 92 points. 2013 Domaine Pascal Aufranc Lingum Julienas ($20): Medium purple with dry cherry, kirsch, and dried marjoram seducing the senses. Nice delineation through the palate with a pinch of pepper adding intrigue. 20% neutral oak. 92 points. This entry was posted in Articles, Beaujolais, France, Wine Reviews, Wineries on May 10, 2017 by Matt Wieland. Three wines. Each providing a thumbprint and insight into a winemaker’s style. All under one roof. A tour of the Willamette Valley typically provides the curious connoisseur an experience with Pinot Noir, soils and AVA variations, winemaking style, and brand image. The preeminent role of site, however, leaves the taster wondering what effect the winemaker had in comparison to the plot of land and farming that raised the grapes. Enter Bella Vida Vineyard. Located in the rust-hued hills of Dundee, the motherland of Willamette Valley Pinot Noir, Bella Vida contracts three noteworthy Willamette winemakers to each craft a Pinot Noir that highlights this site and the essence of their winemaking style. As a 26 acre vineyard, each winemaker works with very similar fruit tended by the same vineyard manager. This culminates in a memorable and deeply informative tasting experience. In the middle of the tasting, owner Steve Whiteside poured a trio of 2012 vintage wines from his three winemakers—Jacques Tardy of Torii Mor, Jay Sommers of J. Christopher, and Brian O’Donnel of Belle Pente. Each wine demonstrates that winemaking impacts our experience with a wine profoundly. Pure ruby in color, lifted aromas of red cherry and spice leave no doubt that this is Dundee Hills wine. In the background, a hint of mushroom adds intrigue. With lithe body, medium-plus acidity, and a finish that carries memories, this wine will clearly benefit from aging. I have a bottle in my cellar to investigate. Excellent. A darker-hued wine with a blue rim, this wine leans into the darker fruits with spiced blueberry melding with tilled earth. A balanced wine all around. While my least favorite of the three wines, it undoubtedly sings of Pinot Noir while holding its head high. Delightful. Minimalist winemaking creates a suave-textured wine with black cherry, bramble, and floral kisses. My tasting crew unanimously declared this their favorite, in large part due to the mouthfeel. Excellent. With production at about 150 cases for each of these wines, visitors to the valley will likely never touch these gems unless they visit the vineyard personally. The opportunity to taste the decision-making and ethos of each winemaker will captivate any wine enthusiast. The fact that the fruit hails from such a stunning site—both visually and viticulturally—makes this a must visit tasting room on your next trip. This entry was posted in Articles, Oregon, Philosophy, Pinot Noir, Taste, Willamette Valley, Wineries on September 16, 2016 by Matt Wieland. Last Saturday I ventured to the motherland of Oregon Pinot Noir, the northern Willamette Valley. The Saturday before Thanksgiving has become an insider’s haven. Wine club members and guests come to barrel sample, pick-up shipments, and celebrate the upcoming releases without the throngs of Thanksgiving embibers seeking liquid relief from extended family. A brief photo tour highlights the day. The two Etzel brothers, sons of Beaux Frères co-founder Michael G. Etzel, collaborate on a few labels, including this Napa Valley Cabernet. It holds great promise, though you may be prosecuted for opening this young. La guitarra providing ambience at Beaux Frères. 2014 futures of Beaux Frères Willamette Valley, Beaux Frères Vineyard, and Upper Terrace wines. Already memorable, they will certainly improve with another 1 to 4 years in bottle. The pinnacle of the Willamette Valley, Shea Vineyard (previously referenced on the bottle in the first photo). Currently holding the highest price tag in the valley at $5,000 per ton, Shea produces some of the best wines in Oregon–hallmarks of Oregon Pinot Noir. Imperfect clusters left on the vine at Shea Vineyard. When you pay $5,000 per ton, producers expect near-perfection from the fruit. The harvest crew left these grapes due to sunburn, uneven ripening, or some other flaw. In 1996, after selling all of their fruit for 10 years, Shea Vineyard decided they should hold back some of their acclaimed grapes to make their own wine. I tasted through the 2014 pinot noirs from various blocks and clones, and all clocked in around 14.8% abv. The warm southwest-facing site resulted in dense wines that pushed the edge for the varietal during this hot vintage. Most wine enthusiasts could mistake the 2014 Shea Cellars pinots for another varietal if tasted blind. Shea Wine Cellars, rarely open to the public, welcomes members and guests on the Saturday preceding Thanksgiving. Shea Vineyard in the late afternoon sun on a bluebird day. Oak barrels stacked outside of Sineann Winery. Sineann’s winemaker Peter Rosback travels back and forth between the Willamette Valley and New Zealand making wine in both hemispheres, fall in Oregon and spring in New Zealand. He sells wines from both regions under his Sineann label. His wines provide stunning value when compared to his neighbors in the valley. This entry was posted in Articles, Oregon, Pinot Noir, Willamette Valley, Wineries on November 27, 2015 by Matt Wieland. Time to celebrate a Washington winery that over-delivers at every price point. Owen Roe started releasing wines in 1999 with production based out of St. Paul, Oregon. Despite the Oregon location, Owen Roe has successfully embraced both Willamette Valley Pinot Noir and Washington varietals simultaneously. Many wineries in the northwest truck some grapes from their neighboring state to diversify and spruce up the offerings, but very few have the expertise or access to quality fruit to pull off the crafting of excellent wines from these two distinct growing regions. David O’Reilly is among the few. Take note. Owen Roe recently opened a new winery and tasting room near Union Gap, WA, and this is in addition to the St. Paul, Oregon winery and Newberg, Oregon tasting room. The Washington expansion allows for increased production and presence in Washington, while providing O’Reilly with more options with his Washington fruit come harvest season. Along with the new winery, Owen Roe has purchased multiple vineyards around Yakima Valley, planted a new estate vineyard on site near Union Gap, and has expanded its vineyard sources beyond these direct acquisitions. This expansion comes with years of earned success and acclaim, all with minimal to no advertising. The wines speak for themselves. All this new juice, under the care of O’Reilly and his small-batch, meticulously minded winemaking style, should have us all salivating. To the wines. With 24,000 cases produced, Owen Roe provides attention inducing value at every price point. Beyond the Owen Roe top-tier label, David O’Reilly also produces wines under the Sharecroppers and Corvidae labels. These two second-tier labels provide wines of surprising quality and interest between $10-$21. O’Reilly is known for taking great care in every step of his winemaking process, and that begins with the vineyards he selects. Excellent vineyard sites, careful management, attention to detail in the winery, and a value product. I recommend you investigate this magical equation yourself. 2012 Sojourner Eola-Amity Pinot Noir ($42): Classic Eola-Amity, and well crafted. Volcanic soils show through in the minerality of the wine, but I love the darker blue-fruit characteristics (in comparison to Dundee). 2012 gave producers options–bombastic or balanced, chewy or graceful. This wine gives you the ripeness of 2012 while maintaining balanced alcohol and delicate pinot nuances. A memorable wine. Excellent. 2012 DuBrul Cabernet Sauvignon ($72): This wine wowed my tasting partner and me. The nose is striking and forces the glass to your mouth. Medium-plus bodied, plush purple and red fruit characteristics, while maintaining glorious depth and balance. Oak, acid, and alcohol all play their part without overplaying their hand. The finish lingers. Stellar. 2013 Sharecroppers Cabernet Sauvignon ($15): The nose immediately hits you with classic Cabernet blueberry and blackberry co-mingled with leather. Medium-bodied, the palate delivers a nice balance of fruit, tannins, and acidity. A great Washington Cabernet exemplar at a fair price. Delightful. 2013 Abbot’s Table ($24): Owen Roe’s flagship wine, a red blend of 41% zinfandel, 34% sangiovese, 11% malbec, 9% blaufränkisch, and 5% merlot. Flagship wines better earn their title, and this bottle does just so. Medium-plus bodied with supple blueberry, the rich aromas of tea and earth, and notable (medium) tannins. A sure crowd pleaser. Excellent. Under the direction of David O’Reilly, expect greatness from Owen Roe. *Here is a link to my wine rating system, newly released on Wagon Wine. This entry was posted in Articles, Pinot Noir, Red Blend, Washington, Wineries on March 4, 2015 by Matt Wieland. Steph, my spouse, and I relocated to Portland, Oregon in June. Steph is a Portland native, and we are both thrilled to be back in the northwest where we met. I have many passions that Oregon can reward–wine rises high on the list. Summer weekends spent in the tasting rooms and wineries of the Willamette Valley left me with two very notable memories. Today will focus on the first. Chapter 24 Vineyards is a relative newcomer to Oregon. “Though she be but little (and new), she is fierce!” Fierce for the sheer force of their four wine line up from their 2012 vintage–Two Messengers ($30), The Fire ($60), The Flood ($60), and The Last Chapter ($90). Pinot Noir rarely inspires the use of the words fierce and force, but these words are directed at the accomplishments of Chapter 24 Vineyards. The Last Chapter has all the elements of a deeply beautiful, memorable pinot noir–elegance, balance, and length swirl their way into your psyche. I melted after smelling the wine alone. I continue to swoon. One of the collaborators for this producer, Mike Etzel, is the son of Beaux Freres head wine maker. Consequently, Chapter 24 has access to some premium fruit from multiple vineyard sites. Great fruit speaks for itself, particularly with Pinot Noir, and speak it does with The Fire, The Flood, and The Last Chapter. While their core three wines speak profoundly for themselves, Two Messengers stands tall against other entry-level bottles by producers in the Willamette Valley. Wine makers show their talent with their lowest tier wines, as they are almost always working with less than ideal fruit. Chapter 24 pulls off a clean sweep with their line up by starting your tasting with this classic, pleasurable Willamette pinot. Finally, kudos to the Chapter 24 team for their ingenious marketing plan, which names wines after the geologic soil types of particular vineyard sites–The Fire from the volcanic, higher elevation sites, and The Flood from the lower elevation sites formed by the Missoula Floods. 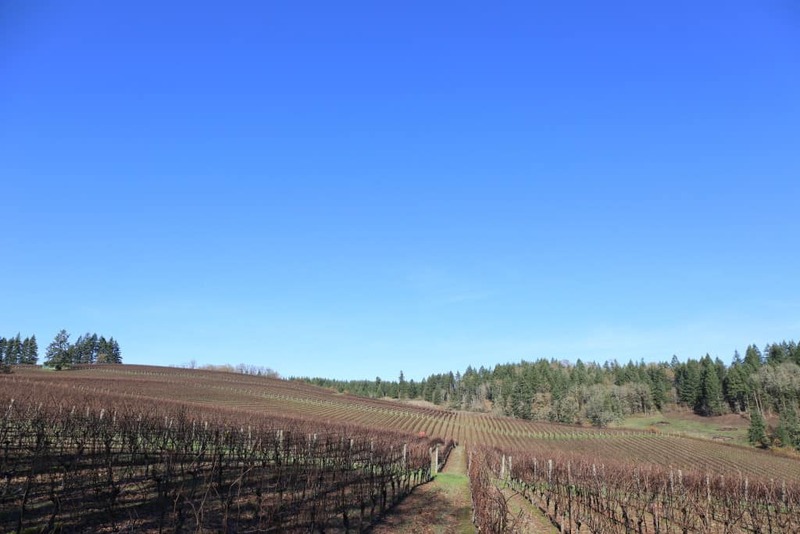 Notably, these wines do not and cannot claim specific AVA designations, as they span multiple AVAs within the larger Willamette Valley AVA; however, they are largely sourced from highly respected sub-appellations within the Willamette Valley. Add Chapter 24 to the top of your list. It will not disappoint. This entry was posted in Articles, Oregon, Taste, Willamette Valley, Wineries on October 25, 2014 by Matt Wieland.